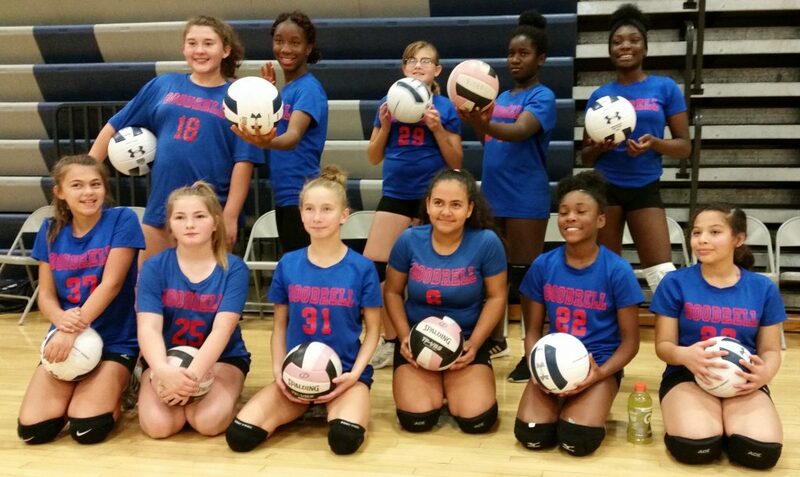 This past Saturday saw Goodrell’s 7th grade girls volleyball A team in the Middle School Tournament held at Roosevelt High School! The girls were balls of nerves and excitement as they waited to play. Their first match paired them against Brody, who would eventually go on to be the tournament’s overall winner. As the day went on, they got their jitters out of the way. They fought one close game after another to place 4th over all. Their faith and confidence in each other went up tremendously over the course of the day (and the season). Their coaches have been quite pleased with the girls’ growth! Unfortunately, the season is drawing to a close. Come join us to cheer the girls on for their final game of a great season against Weeks on Monday, October 8 at home. All tickets (student and adult) are $3.00.